Futa Crisis: NANS Call On Federal Government Intervention... Calls it "Embarrassing and so Disheartening". 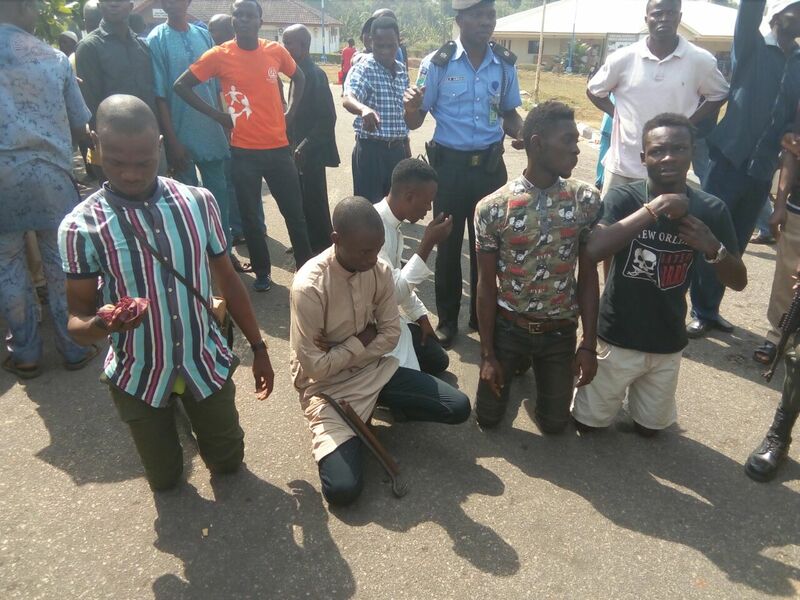 Following the incident that rocked futa campus on Wednesday of the SUG president, Dean and others being arrested and beaten, the NANS president Com. Bamigbade Taiwo says it's highly embarrassing, disheartening and so the federal government's attention is highly needed in the varsity. One of the most important obligations, which the federal government owes Nigeria students is to take very drastic measures to curb the recurring menace and brutality of innocent students by its security operatives. It is very sad that law enforcement officers who are paid with the tax of our parents still unleash their inhumane attitude on students. Their public carriage leaves much to be desired and the earlier this menace was curbed, the better for the country’s image. It amounts to abdication of its constitutional responsibilities for the federal government to feel nonchalant at the brazen conduct of security operatives and crisis rocking the FEDERAL UNIVERSITY OF TECHNOLOGY AKURE. The crisis rocking FUTA at present calls for attention NOW!. What happened days ago at the school campus between the JAC (SSANU, NASU, and NAAT), the school management and the students is highly embarrassing. The FUTASU president, Com. Oladele Olusegun a.k.a Solar & some of his Excos, and the Dean of student affairs, Prof Alese was beaten to stupor and got arrested by the NIGERIA POLICE; so disheartening! NANS senate president in person of Com. Bamigbade Taiwo Egalitarian, the former NANS vice president (National); Com Ayenuro Timileyin and the director of special duties to the NANS senate president Com Olajuyin Olasunkanmi p.k.a Heskay Unlimited quickly tackled the impunity as they went for their bail. The Nigeria students fighting for their rights, it now a sin abi?.Police cells should not be places of impunity and mindless violation of human rights. The resumption date JANUARY 3rd which is earlier scheduled for the school is still sacrosanct and sure unless the federal government want the mother of all protest and they shouldn't forget federal road lays right in front of the FUTA North gate! For the “Change Mantra to be meaningful, it is imperative that President Muhammadu Buhari should use his office and Intervene, all we want is #FUTAmustresume!!! OJO KAYOMIDEDirector of media and publicity of the Senate.. Signed byCom. BAMIGBADE TAIWO EGALITARIANNANS national senate president."